Burlingame is an affordable housing development for the City of Aspen. 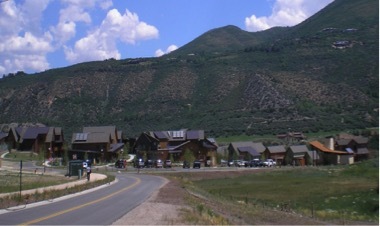 Gould Construction’s initial contract for the project was with the City of Aspen for construction of approximately 1 mile of entrance road with utilities to support the development including water, sewer, drainage and dry utilities. Following this contract, Gould Construction became the civil subcontractor to Shaw Construction for all the work associated with the housing development. In addition to the road construction and utilities, Gould Construction excavated and backfilled all the foundations.